At the end of May, Panhead Custom Ales stunned many in the beer world with the announcement that the business had been purchased by Lion. Never ones to miss an opportunity, fellow Wellingtonians Garage Project chose the moment to make an announcement of their own. While their words may have mirrored those of Panhead founder Mike Neilson, the message was rather different: they heralded the opening of a second site, one at which Garage Project will take their experimentation with wood, bugs and esoteric yeasts to new heights. Kerry McBride happened to be boarding a plane for Wellington at pretty much the same time so caught up with Garage Project co-founder Pete Gillespie for a walk on the wild side. 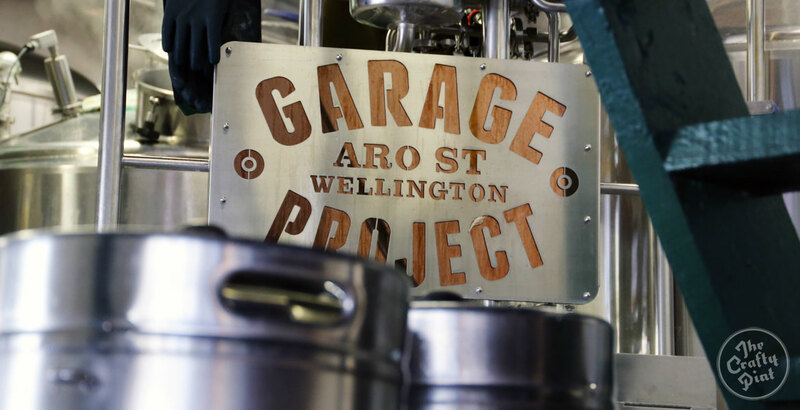 Tucked away in a nondescript warehouse in Wellington, behind a department store and a shop packed with antique furniture, is the future of Garage Project. Over the last year, the team of Wellington brewers known for their inventive beers and colourful labels has been quietly working away on a project that has now been unveiled to the public: their second brewery, the Wild Workshop. While still in its infancy, featuring just a single bank of tanks and a smattering of barrels in the large warehouse space on Marion Street, in the coming months the Garage Project team will be bringing in five foeders [large wooden barrels] ordered from Europe and relocating the hefty stock of barrels that are currently squirrelled away in numerous spots around Wellington. This second brewery will become their playground; a place to play with barrel ageing, wild ferments and, in time, their own coolship at the top of the building. While showing off the new space, brewer and co-founder Pete Gillespie says it was the space with potential to house a coolship [a wide, shallow fermentation vessel] that got them over the line. Cantillon head brewer Jean van Roy and son tending to their coolship in Brussels; Pete Gillespie where he hopes to install his own. 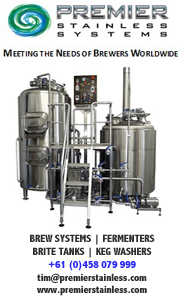 That project is one for further down the line as they integrate the second brewery into their work step by step. First, they will be fermenting in the tanks on site, then introducing barrel ferments, before exploring the methods – and costs – of turning the top floor into a coolship. Following the Cantillon approach, they hope to create a space with large roof panes that can be opened and closed, in order to capture the yeasts to be found in the Wellington air and allowing for spontaneous fermentation. It seems fitting for a brewery that is so entrenched in Wellington beer culture that they aim to entrench a bit of Wellington into their beer. What the terroir of Wellington will taste like is not yet known, but with the southerlies that blow in from Antarctica a key part of the cityscape, it is sure to provide a unique quality to the ferments. It’s an exciting development in the five-year-old brewery’s story, as their experimental nature has always leant towards trying new things. Those things will include lambic style beers, in-barrel fermentation and experimentation with different yeast strains. “You can think about wild beers like sourdough bread. 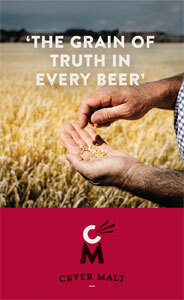 When you introduce different yeasts, that’s when things start to really get interesting,” Pete says. One of the very many offerings already on tap at Garage Project's current tasting room. 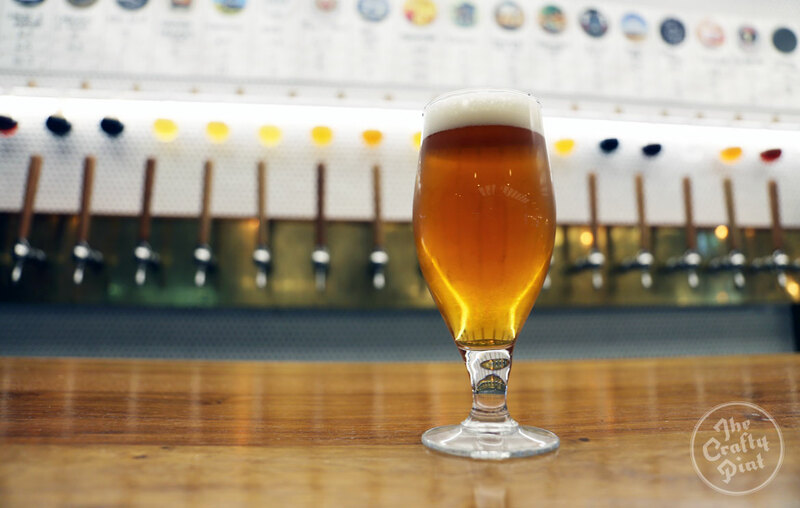 Brewing will continue as normal at their current premises just out of the CBD, but the new site will also provide one distinct benefit for the team: no more concerns about bacterial infections. “Whenever we introduced brett [brettanomyces] or any other bacteria up at the brewery for a beer, we were always paranoid for three or four brews afterwards that something had been contaminated along the way,” he says. Now, any bacteria for souring or otherwise will be kept purely at the Wild Workshop, and once a brewer steps foot into the new brewery, there will be no returning to the old one that day, lest they trudge in some unwanted bacterial friends with them. Once the Wild Workshop is humming, the team will be working towards creating a tasting room much like the one found at their Aro Street site. Carried out correctly, Pete hopes it will open the doors to a new degree of beer education for beer lovers, exploring the intricacies of fermentation and the beauty of sour beers. But the first year or so is focused firmly on the brewing in order to build up a supply for the foeders and other barrels. While the warehouse is still being set up, the brewers couldn’t resist attempting at least one barrel ferment while they got their ducks in a row. Yet, as is the nature of their experimental approach, things went off with a bang. The first barrel they filled – a wine barrel ferment with wine skins still in – went a little crazy, with the force of the ferment blowing out the barrel itself, leaving an almighty mess all over the floor of the new brewery. “We walked in and it was just a flood all across the floor,” Pete says. It's an approach that has worked for them so far; it wouldn’t seem right for the wild things to change tack now.